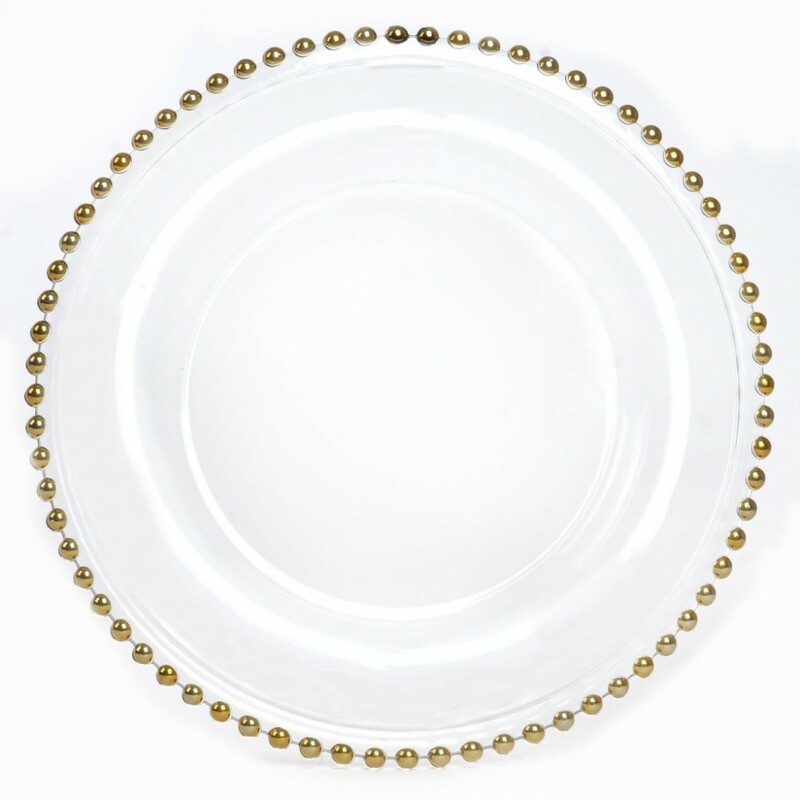 Home > Products > Ya Ya Creations Gold Bead Rim Glass Charger Plate 13"
Create a classic yet elegant impression with the Ya Ya Creations Gold Bead Rim Glass Charger Plate 13". The delicate-looking beaded rim of this charger plate beautifully frames dinnerware while its lavish gold hue adds a lush detail to any table setup. Made from premium quality solid glass, this charger plate boasts a delicate look that belies its exceptional strength and durability. Thanks to its ample 13" surface, this charger accommodates plates of any size while providing protection against spills and mess.